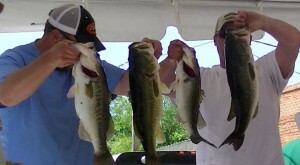 Anglers weigh-in their catch at last year’s Johnston Peach Blossom Festival Bass Tournament. 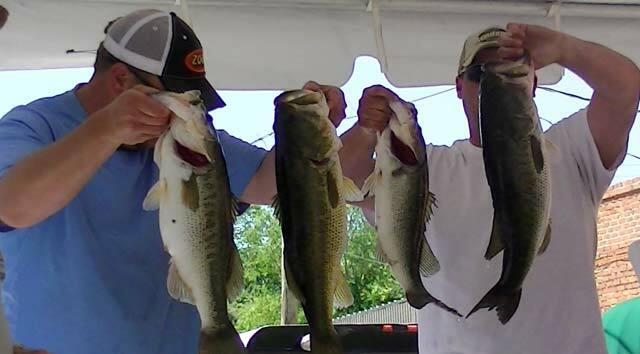 Anglers who want to show their fishing abilities can sign up for the 2nd Annual Bass Fishing Tournament, part of the Johnston Peach Blossom Festival. The Tournament will be held May 2, 2015, the same day as the popular Festival. Check-in is at 6 a.m. that day with weigh-in held in downtown Johnston shortly after 2 p.m. The entry fee is $50 and is limited to 30 boats. This Tournament is pond fishing and for Jon Boats only. There is a 100 percent payback on the five-fish limit Tournament, including a first place prize of $500 and $200 for the largest bass. Entry deadline is April 30. For a list of rules and to enter, please call Cindy Sullivan, 803-275-2594. In addition to the areas listed above, the Festival has a Friday, May 1, street dance in downtown Johnston, designed especially for families. This year’s street dance will feature Bill Johnes and the Bucket List Band, a popular local band. This year’s Johnston Peach Blossom Festival Dance Sponsors are Dr. Hugh Morgan Family Practice, Jim Satcher Motors and Titan Farms. The Johnston Peach Blossom Festival Corporate Sponsors are Edgefield County Hospital, First Citizens Bank, IGA, J.W. Yonce and Sons, NAPA of Edgefield, SCE&G, Bridgestone, and National Wild Turkey Federation.